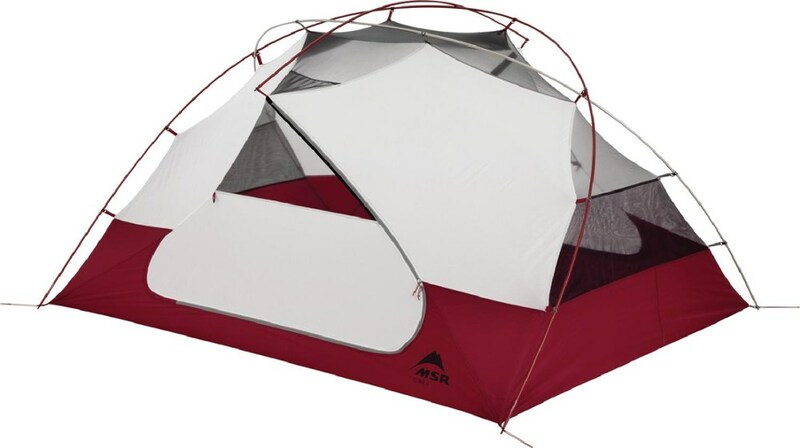 This tent is a good buy for a three-season tent. 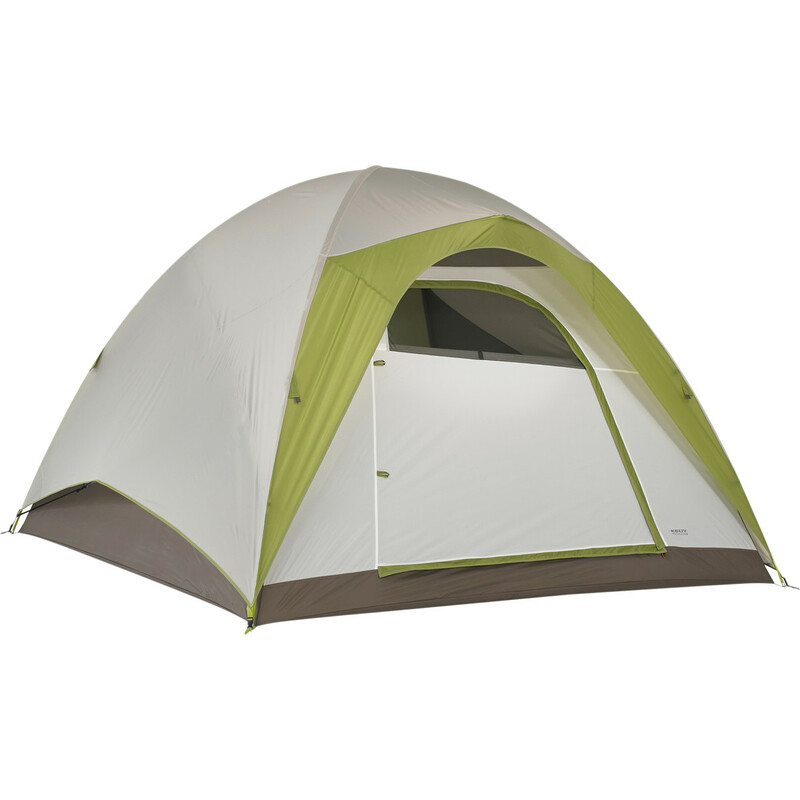 It's on the heavy side by today's standards, but weighs less than our previous 1970's-era Gerry two-man tent. I like the design and quick setup, but found the ventilation to be poor, especially in hot, humid conditions. The kids are grown, and we can get back into some backspacking, so my husband and I got this tent to replace our previous tent, a 1970's era Gerry two-man tent (LOVED that thing!). Have been pleased overall with it, especially since we only paid $35 at a garage sale and it was in good shape. It's lighter than our previous tent, but not by today's backpacking standards (we still use an old frame pack with cordura fabric and an original Gregory backpack, so weight isn't so critical! ), weighing in at about 6 pounds. Used it on a recent backpacking trip when the temps went down only into the high 70s and the humidity was about 85%. Bugs were too thick to cowboy camp, so needed the tent. Didn't sleep for two nights with the heat. Even with the fly off, the tent circulated air poorly, which is its biggest drawback in this hiker's opinion. 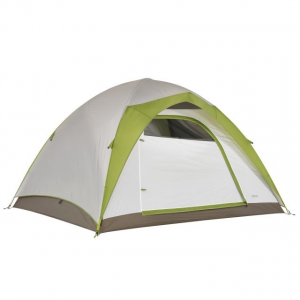 The only ventilation is through small mesh panels at the very top of the tent. I'll be fixing that by remaking the tent with mesh panels installed on the sides. The mesh storage pockets and ceiling loft are great — especially when you need to dry out wet or sweaty clothes. The bathtub floor wraps a bit higher than a lot of tents, and it and the fly are very water tight and made of durable taffeta. The taped seams haven't leaked through downpours. The tent is rated three season, but I don't see why it couldn't be used for winter camping as well, if there are no high-wind conditions. The peaked A-frame style wouldn't lend itself to that as well as the lower-profile domed versions (although our Gerry was the mountaineering tent of choice in its time!). There is no vestibule, which makes gear storage with two adults cozy but doable, unless you're well over six feet tall. The interior is fairly spacious, with a 58" x 92" floor plan and room to sit up for those of us of slighter build. 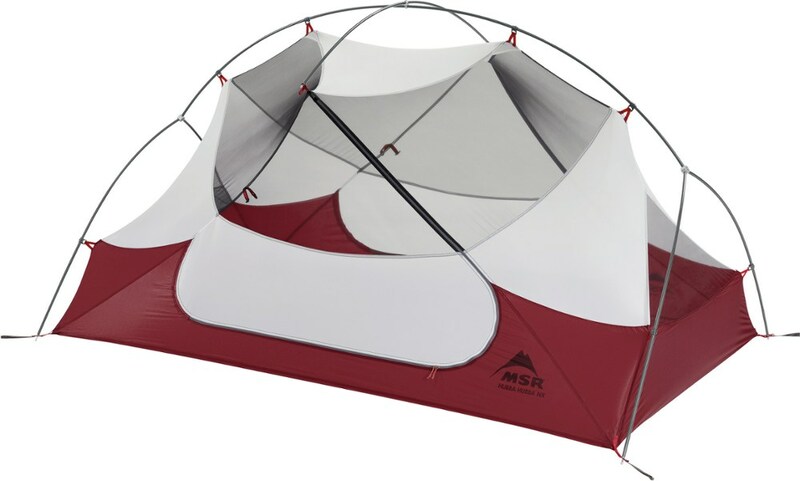 The tent goes up really quickly and is free standing, with three fiberglass poles (one for the fly), and a clip system — single person setup in under five minutes without the fly. The fly has four points to stake out, but it can be used without. The Yellowstone 2 packs down to about 9" x 25" — less without the poles, which we carry rolled in our pads and strapped to the back of our packs. Overall, am VERY pleased with this tent, and always love a bargain! 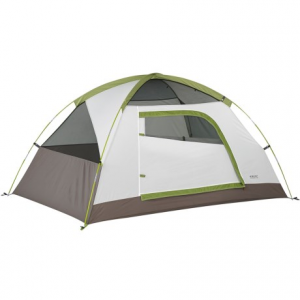 This is a nice little, inexpensive tent that would be decent for car camping. Setup is super easy, although the clips are slightly annoying for take-down (I guess that just makes it sturdier though!). The gear loft and pockets are a nice feature. 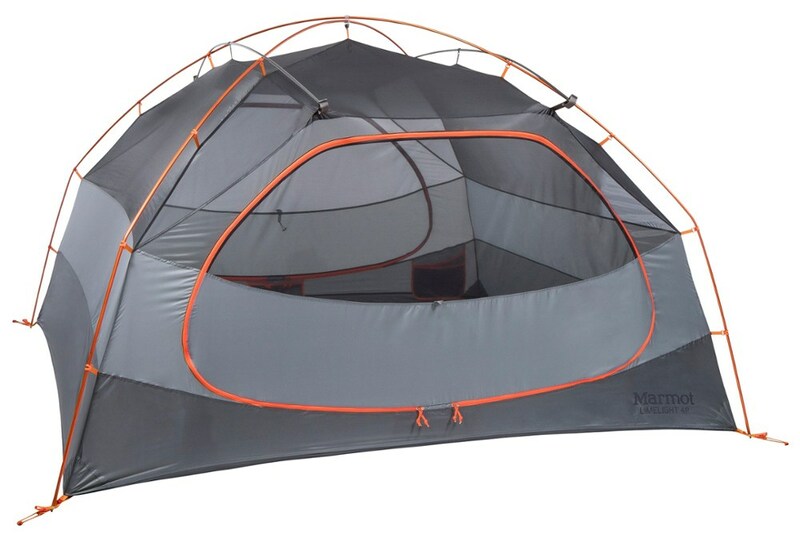 This tent does well in bad conditions. I took it out to British Columbia last September, and the weather was miserable. Constantly raining outside, but we were dry inside! You can't beat that for 50 bucks! Can't understand why it's so cheap...super easy, super light, works great! The Yellowstone 2 has been discontinued. 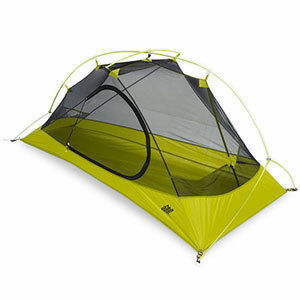 The Kelty Yellowstone 2 is not available from the stores we monitor. It was last seen March 28, 2019	at Sierra.